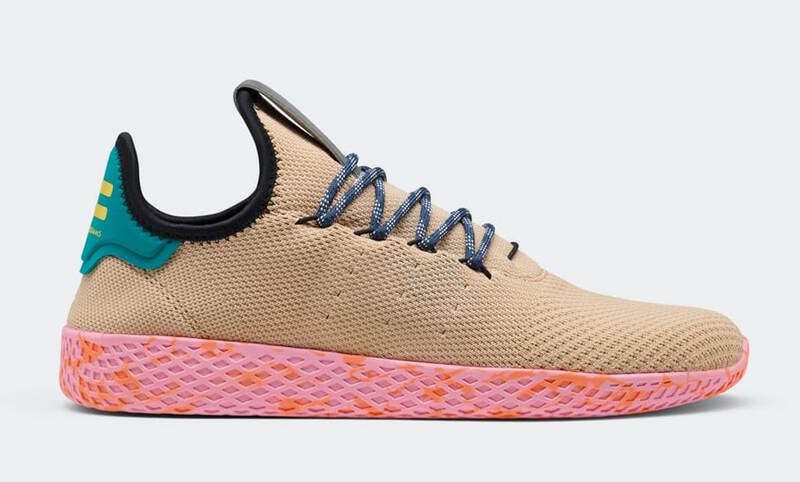 The four new iterations of Pharrell’s new silhouette with adidas come covered in a lightweight and breathable Primeknit material on the majority of the upper with an EVA waffle-textured midsole down below. 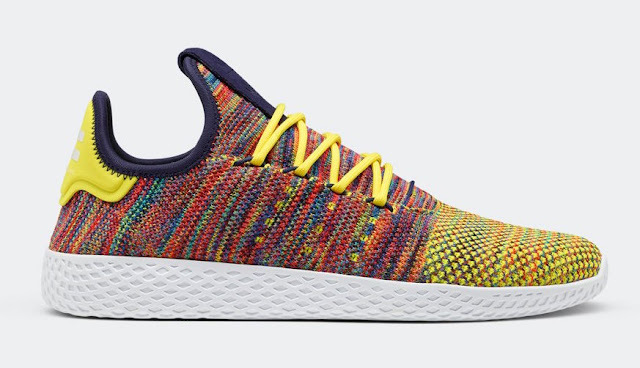 The first two pairs take on a multicolour upper with one being done in rainbow-like colour and the other in pink and blue. 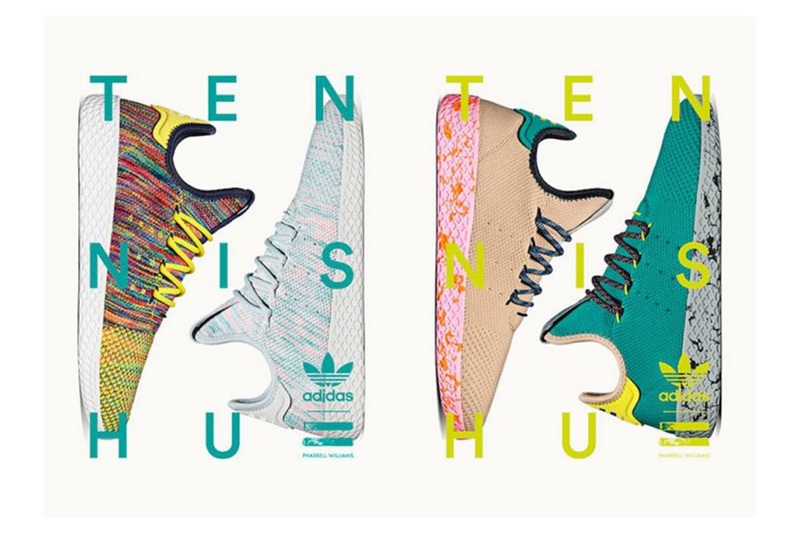 Those two pairs are then finished off with contrasting white sole units. The second two pairs feature an orange/peach upper and green/teal upper while both are finished off with colorful marbled soles. 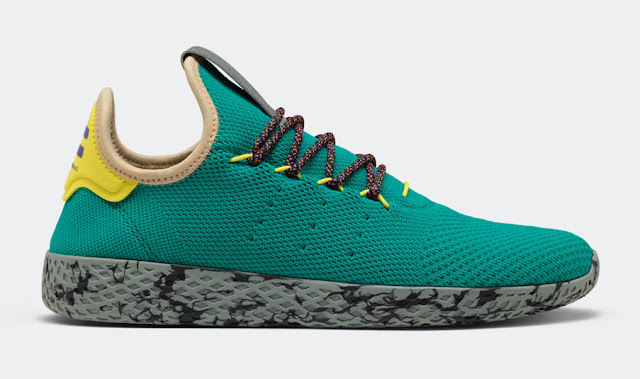 Additional details include Pharrell and adidas branding on the tongue and heel tab, contrast details along the collar, and the shoe’s unique minimalist lacing system. 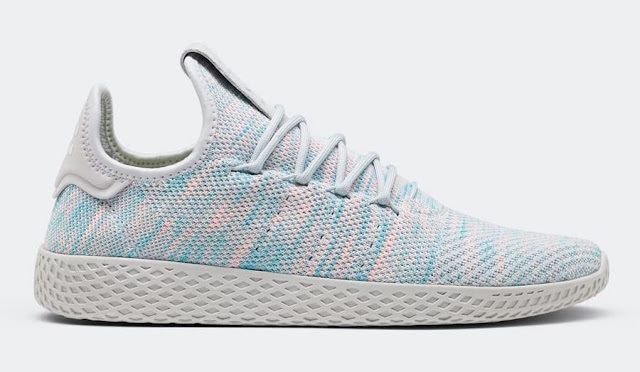 The Pharrell x adidas Tennis Hu is available at selected retailers.